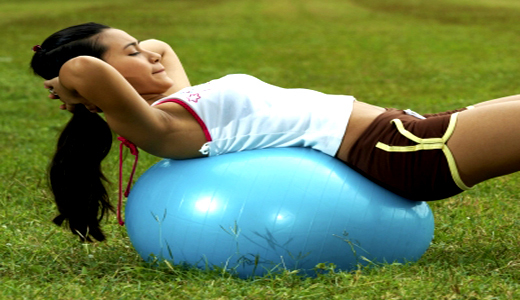 If your goal is to stay fit and healthy then you need to follow a fitness routine. Stay fit can be simple if you are serious about your health and ready to follow some simple tips. Here are some simple tips that can be helpful to stay fit and healthy. You’ve read so many articles here and there about fitness and healthy life. It is important that you should remember all those points to keep yourself fit. Often we get bored and lose our motivation which is really bad for our health. So keeping that in mind, here I’m going to mention some very useful tips that can keep you fit- life long. 1. Take calcium regularly to improve bone health. 2. Do brisk walking 5 times a week to prevent diabetes. 3. Pick raw almonds instead of salted ones. 4. Go organic to boost your immunity levels. 5. Exercise and increase the intake of Omega-3s to look younger. 6. Start swimming to shed extra kilos. 7. Never go thirsty. Hydrate yourself well to boost energy. 8. Enrich your foods with natural ingredients. 9. Eat strawberries for a blast of antioxidants. 10. You need to be regular with workouts to lose weight. 11. Set yourself small, achievable goals to stay happy. 12. Drink green tea to control blood pressure and stay heart healthy. 13. Get your dose of healthy bacteria from yogurts. 14. Have oatmeal for your breakfast. It’s super healthy. 15. Mix and match workouts to stay motivated. 16. Make sure you have more fibre, less fat in your diet. 17. Take a deep breath and stretch if you feel tired at work. 18. Make sure you eat 5 servings of veggies to fight ageing. 19. Laugh whenever you can, this will keep you young. 20. Go for regular health check-ups. When working on the computer, blink every four seconds. Blinking pumps more blood into the eye and helps you avoid dark circles. Also blinking leads to better lubrication and helps prevent dry eye syndrome which is a frequent complaint of those who work on computers. Feel instant relief by closing your eyes tightly for five seconds and then opening them widely for another five seconds. I hope above list is helpful and a good reminder as well! The tips you provided are indeed simple, quick, and easy to apply for individuals who are really aiming to lose weight and stay fit. Thanks! Great post. You know we all think about this very topic.Thanks for sharing simple ans best tips to stay fit & healthy.Get best ways to reduce weight from reduce that will boost your immunity levels.